Ukrainian President Petro Poroshenko has instructed all military units near Crimea and the eastern Ukrainian Donbass region to be at the highest level of combat readiness. 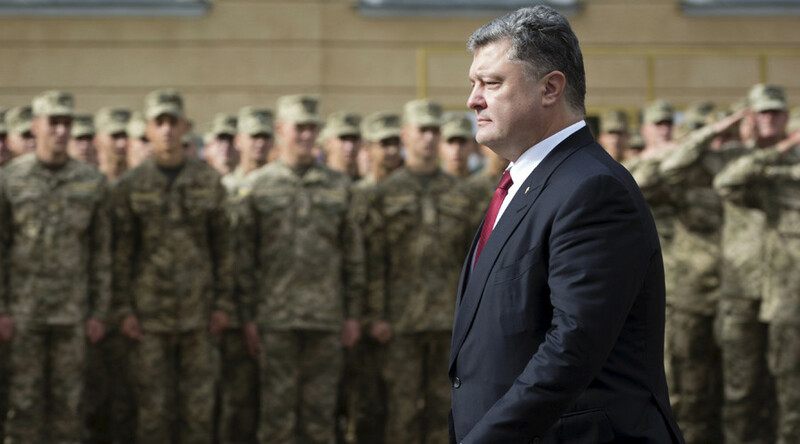 Poroshenko announced the order after a military meeting on Thursday. The Ukrainian security forces at the border with Crimea are ready "for any turn of events," the aide to the Ukrainian border service, Oleg Slobodyan, told journalists at the briefing. He added that "any tasks are carried out in collaboration with the military and the national police," as quoted by RIA Novosti. Poroshenko said he has ordered Ukraine's foreign minister to initiate phone conversations with Russia's President Putin, as well as the German, French, and US leaders, and the president of the European Council, Donald Tusk. The UN Security Council discussed the escalating tensions between Ukraine and Russia at Kiev’s request on Thursday. It comes after Russia’s security service said yesterday it had foiled a terrorist attack in Crimea plotted by Kiev. Russian envoy Vitaly Churkin, who declared himself satisfied with the meeting, said Russia presented all the relevant information to other members of the UNSC. He added, however, that by initiating the gathering Ukraine tried to “distract” attention from problems it has in Eastern Ukraine. "Instead of counting our military, they need to stop the conflict in the Donbass and stop shelling civilians," Churkin added. On Wednesday Russia's Federal Security Service (FSB) said it had found a group of infiltrators in Crimea, near the Ukrainian border. The infiltrators were preparing to target Crimea infrastructure, the agency said. Explosive devices and ammunition were also discovered at the scene. 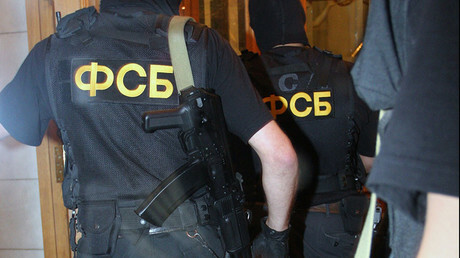 A network of agents from Ukraine’s chief intelligence directorate has been uncovered in Crimea, according to the FSB. The masterminds and actors behind the plotted attacks were uncovered during an investigation launched “under particularly grave articles [of the criminal code],” Natalya Poklonskaya, the Republic of Crimea’s chief prosecutor, told TASS. Russia’s Foreign Ministry has called on its partners to put pressure on Ukraine and warn the country against taking dangerous steps in Crimea that could lead to “negative consequences,” a statement available on the ministry’s website says. “Attempts to swing the situation in Russian Crimea are doomed to failure. 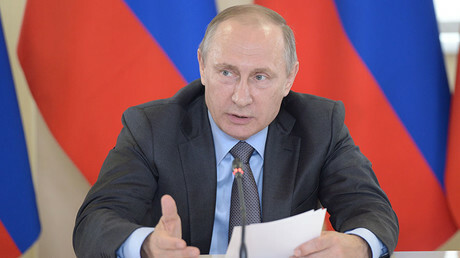 We are to establish stability and security in the Republic of Crimea,” the statement reads. The death of the Russian servicemen in clashes over the weekend “will not be left without consequences,” the ministry promised in the statement. Meanwhile, security in the region has been tightened due to the discovery, the FSB announced, saying that additional security arrangements have been made near major infrastructure objects, in crowded places, and on the Russian-Ukrainian border. The Ukrainian military presence at the border with Crimea has been stepped up after President Poroshenko ordered high combat readiness, said the head of Ukraine's armed forces, Viktor Muzhenko. He also said that the reports about shooting from the Ukrainian side are absurd, according to Interfax. Kiev denied claims that it was behind the terrorist plot, and accused Moscow of provocation. Russian President Vladimir Putin said on Wednesday that Ukraine has turned to "the practice of terrorism" and "is playing a dangerous game," calling Kiev's actions "stupid and criminal." On Thursday, Putin held an urgent meeting with the Russian Security Council, to discuss stepping up security measures "on the land, sea, and air borders" in Crimea, following the foiled terrorist plot attempt, the Kremlin press service reported. Russian Prime Minister Dmitry Medvedev, Foreign Minister Sergey Lavrov, and Defense Minister Sergey Shoigu were among those who took part in the meeting. Russia’s UN ambassador, Vitaly Churkin, said he is surprised that Ukraine is planning to discuss “the sabotage and terrorism act” in Crimea with the UN Security Council, RIA Novosti reported. NATO has expressed concern over the escalation of tensions between Russia and Ukraine in Crimea, an official from the bloc said, adding that it is closely following the situation, AP reported.